Quicken 2019 – Plans & Pricing – Which Version Do You Need? 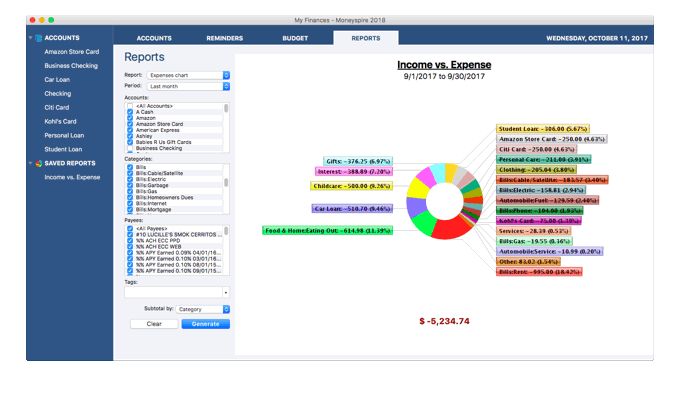 Quicken is an excellent product for tracking your personal finances. Since it has so many features, there are four different versions tailored to fit your unique needs. We’ve created the following comparison table to help you determine which one is ideal for you. The table includes a comparison of all the main features so you know exactly which version to get. We’ve also included the current prices at several online merchants who sell Quicken, making it easy to see where to get the best price. Read more about Quicken’s new membership subscription plan and pricing changes for 2019. Before you buy Quicken, we recommend trying Personal Capital. It is a completely free alternative to Quicken. Sign up for Personal Capital here. Which Quicken Do I Need? Take a look at this table below to find out which version of Quicken is best for you. The current best deals on Quicken 2019 are shown in the table below. We highly recommend Quicken Premier or above as the best value. It comes with Quicken Bill Pay (normally $119/year) that will make paying all your bills quick, easy, and automatic. Pay any business or individual in the U.S. This feature alone is worth the price of Quicken Premier. NEW 500+ improvements, fixes, and new features requested by customers like you! 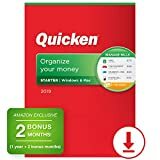 1Quicken 2019 for Windows imports data from Quicken for Windows 2010 or newer, Microsoft Money 2008 and 2009 (for Deluxe and higher). 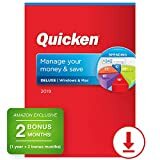 Quicken 2019 for Mac imports data from Quicken for Windows 2010 or newer, Quicken for Mac 2015 or newer, Quicken for Mac 2007, Quicken Essentials for Mac, and Banktivity. 2The Quicken Data Access Guarantee means that whether you renew your subscription or not, you’ll always have full access to and ownership of your data. You can view, edit, export, and manually enter transactions and accounts, even after your subscription ends. The Data Access Guarantee applies to Deluxe and higher versions of Quicken; the Starter version will become read-only. This year’s release is the fastest and most robust Quicken ever! Now includes the #1 most request feature: Access your data on the Web! Over 500 improvements and fixes requested by customers like you! Investment register and portfolio views up to 3 times faster! Go here to learn more about Quicken’s new membership subscription pricing. This 2019 version also includes unlimited phone support to help you with getting started, answering your questions, and helping with any aspect of using Quicken. All versions of Quicken 2019 (Deluxe and up) now include free credit monitoring alerts and your personal credit score to protect you against identity theft and give you a current picture of your overall financial situation. The bill tracking feature allows you to link your bills online with the biller and Quicken will automatically track the due date and amount due so you never miss a bill again. Mobile device syncing allows you to view account balances, track purchases, upload receipts, and track investments from your iPhone, iPad, or Android device. Quicken comes with a 30-day money-back guarantee, so if you’re not completely satisfied for any reason, you will receive a full refund, no questions asked. 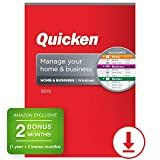 You don’t need a special offer code or a coupon to get a discount on Quicken 2019. We work hard to find you the best prices available and show them right here. You can always save 25-50% off the regular price, then download Quicken right away. Quicken is the best budgeting software and the #1 best selling financial software for home and personal use. Quicken gets more expensive every year. In fact, the price is nearly doubled from last year! If you’re ready to try an alternative, I recommend these two programs. The first is completely free and the other has a free 30-day trial. My first recommendation is Personal Capital. 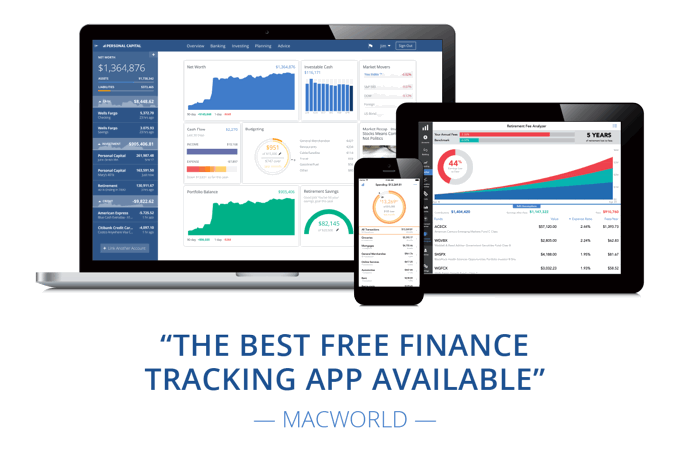 This financial management software is completely free, no strings attached. It is an outstanding product. Personal Capital is easy to set up, easy to use, and keeps track of all your accounts in one place. It has especially good investment tools that are better than those that come with Quicken. Go here to try Personal Capital. My second recommendation is Moneyspire. This program is very similar to Quicken, it supports both Windows and Mac, and comes with a free 30-day trial. You can even import your Quicken data into Moneyspire so you don’t lose any history. Moneyspire is the best desktop personal financial management program next to Quicken and a great alternative if you are looking for a change. Go here to try Moneyspire.